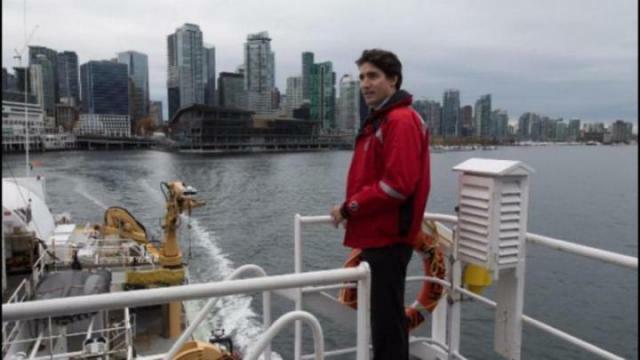 Nov. 7, 2016 8:00 p.m.
Prime Minister Justin Trudeau’s upgrade to marine spill response includes “Indigenous Community Response Teams” and improved towing capacity for Canadian Coast Guard vessels, but falls well short of the three heavy salvage tugboats the B.C. government was asking for. Funded with $1.5 billion over three years, the plan announced by Trudeau in Vancouver Monday also includes upgrades on the Atlantic coast and the Arctic. It proposed to lease two new large vessels capable of towing commercial vessels and large container ships, but it was not immediately clear whether either of those would be stationed on the B.C. coast. Trudeau acknowledged repeatedly that the improvements to shipping safety and emergency response are overdue. The plan refers to adding towing equipment to existing Coast Guard ships, improving marine traffic monitoring with new radar sites and placing additional emergency and enforcement officers on the Pacific and Atlantic coasts. The B.C. government had been seeking three new heavy rescue tugboats for the West Coast, and upgrading of the Prince Rupert Coast Guard station. The province’s proposal was based on a three-hour window to respond when vessels lose power or are grounded, to prevent most spills of fuel or cargo even in the worst weather conditions. Trudeau said the response to the sinking of a U.S. tugboat Nathan E. Stewart, pushing a barge south from Alaska, was “unacceptable” and the new plan is the biggest investment in Canadian history for marine environmental protection.